Meeting a baby is like meeting someone from the internet: you got used to calling them by a weird nickname and now you need to call them by their real name; they look nothing like their photo; it's hard to believe they're real until they are actually there ... The hilarious and poignant cartoons of illustrator Twisteddoodles bring a smile to the faces of parents every single day. Her drawings brilliantly capture the unique experience of motherhood and the huge range of emotions that it brings. In this warm and witty book, Maria writes candidly about what becoming a mother has meant for her. 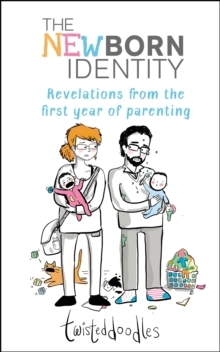 Interspersing her words with brilliant cartoons, she delivers a marvellously entertaining snapshot of life as a modern-day parent.